At POWTECH, amongst other products KROHNE introduces OPTIWAVE 6500, an 80GHz FMCW radar level transmitter for powders and dusty environments: accurate continuous level measurement of fine powders has to deal with a series of challenges such as dust, low-reflective media, build-up and uneven surfaces. Specific algorithms and the high signal dynamics of this FMCW radar level transmitter are the key to providing reliable and accurate readings despite these difficult conditions. Thanks to the small beam angle of the Lens antenna, this powerful device handles high and narrow silos even in the presence of internal obstructions. Visit our booth to get more information on features and applications of OPTIWAVE 6500! 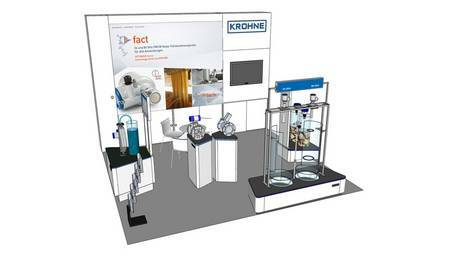 KROHNE introduces several new features and options for the battery powered water meter WATERFLUX 3070.